I’m sure the greatest gift you can give Dr. Seuss for his birthday is to read to a child today and everyday. Happy Birthday Dr. Seuss! In honor of Dr. Seuss’ birthday I am going to share my home library. I hope to inspire some of you to create your own classroom or home library so you can read to your child and instill in them a love of literacy. Keep reading to see how to make your own library card. Just right click to copy and save. This is the quote that inspired me to create this blog. My wish is for every home to have books available for kids to read everyday. I often take it for granted that I am lucky to have so many books for my children to read. The truth is many homes do not have this luxury. “According to the National Center for Education Statistics, nearly two-thirds of low-income American families do not own any books for their children.” See additional statistics that will break your heart. Jan Berenstain, co-creator of the Berenstain Bears book series, passed away last week. Like Dr. Seuss, Jan was instrumental in helping millions of children gain a love of literacy. As a memorial, her family has requested donations be made to Reading Is Fundamental to help get books into the homes of low-income families. Reading Is Fundamental (RIF) is the largest children’s literacy nonprofit in the United States providing new books to children in need. Find out how you can donate at RIF. I think this is such an important cause to support. I’m making a donation and encourage you to consider donating if you have the ability to. Every little bit helps. $10 provides 4 books. First Book is another great organization that provides books to children in need. They also provide books from donations. WHAT DO YOU DO WITH BOOKS YOUR KIDS OUTGROW? I know many local communities hold book drives throughout the year. When you sort through your children’s books (or books you’re finished reading), consider donating to a local homeless shelter or reading program. Make sure books are still in nice condition. In Utah, we have the Reading Tree that has donation bins in grocery store parking lots. They recycle books in poor condition but provide useful books to families in need. 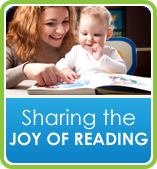 You can also pass books down to other family, friends or neighbors with younger children. We often do this in our family – trade books for kids at different reading levels. Another option is to host a neighborhood book exchange. You could hold a party where everyone brings the books they have finished and trade with others. I’ve also been thinking about holding an exchange closet at our neighborhood church. There are a few empty closets that we could use one as the book exchange where people can ‘take a book – return a book.’ I’d love to have the exchange open all year long and see how it goes. A great option I’m exploring is to create a mini library outside your house available to the public. I just found out about the Little Free Library. They have tips on how to build a weather proof little house to store a few books in (larger than a bird house) to post in your yard. You can post your library on their site so others know about it. It works a little like free cycle if you’re familiar with that. It would not be public knowledge. Just the few that learn about it online, (on the Little Free Library listing) or people in your neighborhood that you tell would know about it. It would also work on the ‘take a book- return a book’ method. Click to see my tips for visiting your public library with children, including ideas on what age kids should get a library card. When my kids are around age two I’ve made these printable play library cards for them so they can play library at home. They get a little library bag then fill it up with books from our shelves. They bring it to me and I use a spatula to scan their card. ‘BEEP.’ Then we go to our reading spot (our special couch inherited from Grandma Great) and we read the books together. We often have storytime which includes special crafts or activities that go along with books. This is where I've become the obSEUSSed Home Librarian. Any parent can try this at home. Now your young children can have their own library card too. Have children write their own name on their card before laminating. Free Printable created by me, obSEUSSed. For non-commercial use only (personal or classroom use permitted). Save this image to your computer (right click). Put it into your word processor. Make multiple copies if needed. Here is a link to a PDF with 8 on a page. This takes you to Scribd, click the 'download or print' button. Print them out. I hate using up color ink so I made them black and white, you can add red marker to them if desired like I did. Cut around the edges with round corners. Lay them in the laminate sheet. Run them through the laminator then cut them out with rounded edges again leaving 1/4 inch laminate around the edge. HOW DO YOU ORGANIZE AND STORE YOUR BOOKS? I made these Genre Book Signs out of red and white striped scrap book paper. I cut out the shape, added some red where I needed to for the brim, printed out separate text on white paper then glued the words on the white stripes. Then I outlined the hats with black marker, laminated them and placed them next to the books on the shelves or hung on baskets. The kids each have bookshelves with bins for their more specific girl and boy books. Dinosaurs, Transportation, Super hero, Lego, animal boxes in my son’s room. Princess and now chapter book series in my daughter’s room. We also have a return basket so the kids know where to put books when they are done. This way, I re-shelve them and they get put back in the right place. At the top of our stairs we have a landing that is wider than a normal hallway. This has become our reading area and children's library. Here are a few things we've done to create a home library. I love displaying my favorite picture books in this plate holder. I rotate the books for different seasons or themes. I keep some books grouped in baskets and most shelved by genre. Some of the signs are posted on the inside of the bookshelf, some are on the shelf in front of the books. My daughter is old enough to read the signs and knows where to put books back. See the closet past the couch – yep – we use that as bookshelves too. Most of the time the doors are closed. The closet holds taller picture books, activity books (that make noise or have pieces) and baskets of themed books (farm animals, bible story books, shapes and color concepts). We also have a DIY bean bag I made that hold all our Dr. Seuss Stuffed animals. This acts as an extra chair the kids can sit on for reading time. We also love to set up McElligot's Pool for reading time. The kids love hopping in the pool. Click here for details and a printable McElligot's Pool sign. I have a set of gallery info prints from The Secret Art of Dr. Seuss that I display across the top of the shelf. Here are the bookshelves my husband built under our stairs. We have since moved from that house and I miss them so much. They were my favorite thing. Click here for more details on these under stairs bookshelves. Now my favorite bookshelf is this tree bookshelf my husband built for my son’s owl nursery. It fits perfectly behind his door. See more details here. We keep about 50 board books in our baby's room. We use an old pie cupboard (pie safe) to store cookbooks with a small file holder to hold printed recipes. See more about how we promote literacy in our home diner. Try to use the same bag each time you visit the public library so you always know where your books are. This wonderful Dr. Seuss library book bag was created by Kari at U Create. Click the picture to see how she made it with a special Dr. Seuss font and her silhouette machine. If you'd like to pin this image, please pin it directly from the Ucreate site. I love the idea of attaching your library card to the bag so you always have it with you. Now, after all these ideas, make sure you pick up some Dr. Seuss books and read. Stop by the National Education Association’s Read Across America to pledge to read to your child Today and Everyday! They have great activities and ideas to celebrate. This year they are working with the new Lorax movie to promote reading. I’m headed to the movie today and will post a review next week. Make sure to visit the official Seussville by Random House books for the ultimate Dr. Seuss games, activities, printables and literacy resources for parents and teachers. We will be reading Dr. Seuss books and e-books today (and celebrating with activities all month). Happy Birthday Dr. Seuss! 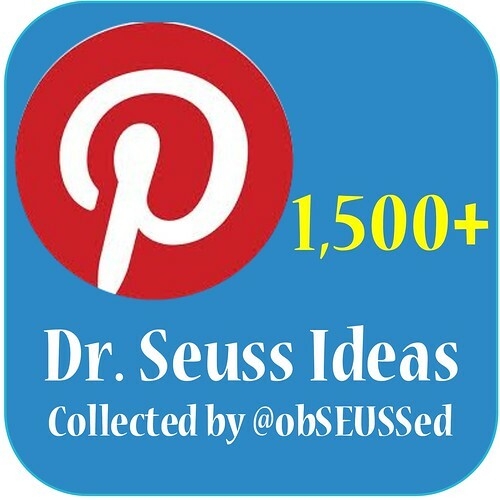 If you have blogged about your celebrations, please add it to the Dr. Seuss Link Collection to share your ideas with everyone. There are over 200 fabulous ideas to choose from right now. Love Love Love your blog!! I have been reading your blog forever now and finally have my own blog so I am follower now too!! Love your home library and the cards I am printed them out as we speak. Today I made my little guy a Dr. Seuss lunch, we are having a party later and are going to see the Lorax tomorrow! Great ideas for a home library! I think you have it all covered! Your website is awesome! Happy Birthday Dr. Seuss! I think I have found someone as obSEUSSed as myself!!!! Would you be willing to visit my Children's Literature class as a guest speaker? I teach in Preston. Wow! 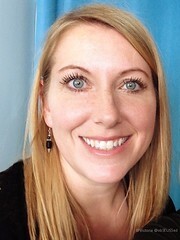 This is amazing, I am an AmeriCorps Program Leader for the American Red Cross and we starting a Red Cross Reading Club and reading kid safety books and I use a lot of Dr. Seuss, your ideas are great! Wonderful! Thanks for the printables and ideas, keep it coming! Just found your blog while searching for "Thing 1" and "Thing 2" cupcake signs. Perfect--thank you! I, too, made books available to my children from the day they were born (although definitely not as creatively displayed as yours--love it!). My children are now 21, 19, 17, 15 & 15 (yes, twins!) and they are each *voracious* readers. We used to have to say, "Put down your book and go play outside!" I would also get so annoyed with those pesky reading charts from school. I would try to explain to the teacher that my children read an hour or more every day, so they *were* being truthful when the charts showed hours and hours of reading. Because of their ability to read well and their love of reading, they are each great students. I keep a notebook of how I've raised my kids (what worked/what didn't) to pass on to them when they have children of their own. I can't go back and start over, so someone should benefit from my successes and failures! This is definitely one thing that worked out well. So I applaude what you are doing and what you are promoting!! I guess that my point is this--you will one day see the rewards of your efforts! I love the bookshelf under the stairs. we have one going up that's kind of magical as it is a door! we do have a stairway and it has a storage area under it, but I wonder if we could build IN to it too? Hmm! oh yeah meant to say @teamshoemaker here visiting from the chat last night, great resources, will be following the blog! Love this page and the home library and library card. Tried the link ...it is not working.